Happy holidays! 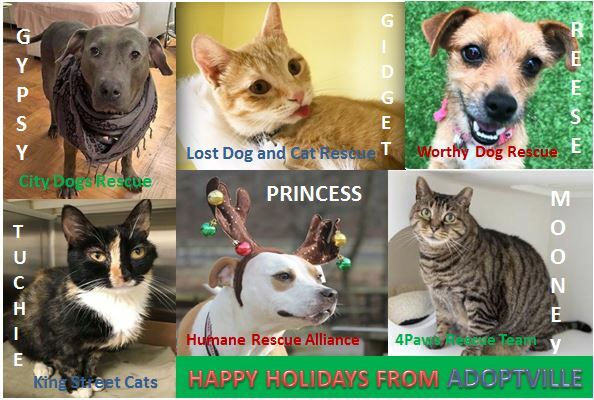 Above is a collage of pets currently available for adoption from some of the rescue organizations we’ve featured this year on AdoPtville – it’s a great time to find a new companion! In case you are looking for wonderful organizations for your year-end giving, we’ve also included links below where you can donate to the organizations helping animals with whom we work to create AdoPtville. THANK YOU!